Donate – Thanks for your support! Hey everyone, JD here, and I just wanted to thank everyone for your support. We work really hard to bring you the very best content possible. 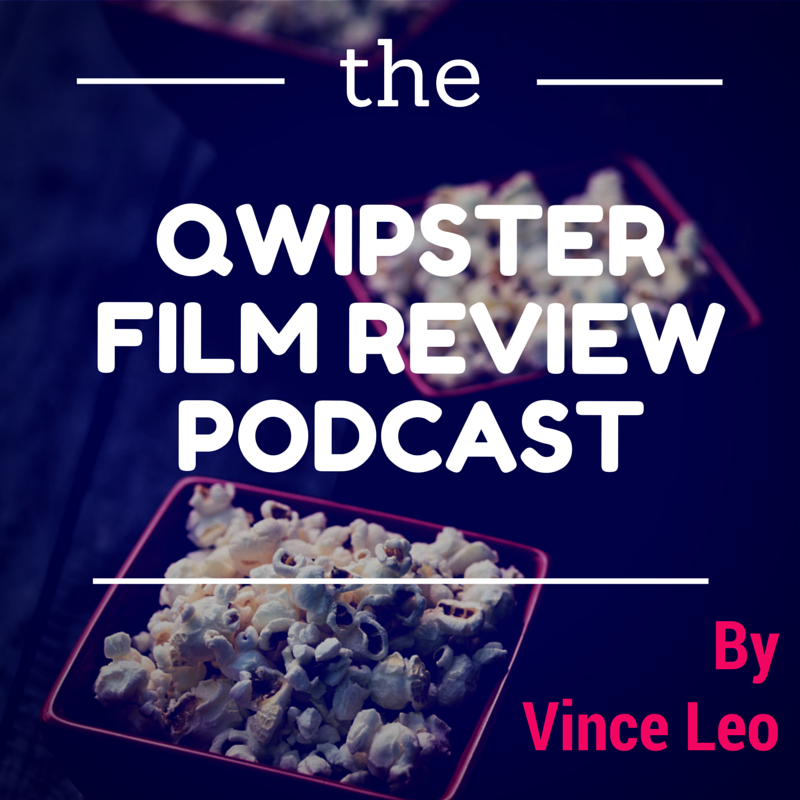 Whether it’s the main InSession Film Podcast, our Extra Film podcasts, Top 3 Lists, Movie Series, polls and everything in between, we hope that you enjoy our work and content we provide for you. We LOVE doing it for you. That being said, we’d love to ask for your help. Your donations can come in many forms, and not just financially, and anything you give is extremely appreciated. We are very thankful for any way that you can help! InSession Film is listener-supported and every donation is welcomed and extremely appreciated. As mentioned, the resources given go directly into the show, the website and everything we do here at InSession Film. This, of course, is not mandatory but anyone who feels generous, we appreciate the support. Thank you very much from the bottom of our hearts. With our PayPal donate feature, you can donate as much or as little as you want with the one-time donation feature, there are no restrictions. You can also pick from one of the four subscription options as well. Thank you again for your support. Please CLICK ON THE BUTTON below to give via PayPal. We are very thankful for a sponsor like AUDIBLE.COM to be a sponsor. Audible has thousands of audiobooks that’s perfect for people on the go or for those whose who just don’t have time to read. We use Audible all the time, it’s perfect for us and so easy to use. If you’d like a FREE audiobook and a 30-day FREE trial, click here or on the banner above. Thanks for supporting Audible and the InSession Film Podcast. Want an InSession Film t-shirt? Or perhaps an InSession Film coffee mug? Well check out the InSession Film store and you can pretty much get anything you want with the InSession Film logo on it! Not only will you help support us in the process, but you’ll also get some really cool gear in the process. To visit the InSession Film store, click here now! Your financial support means everything to us. Every penny you give goes directly into supporting the show to help keep production at the high level you’ve been hearing from the beginning. Whether it’s production costs, new equipment or costs to host and maintain the podcast, all donations help support those necessary functions. Also, everyone who donates will receive some free gifts, depending on the level that you choose! If you’d like to donate per show and get some awesome free gifts, you can click on the banner above or CLICK HERE. Thank you! 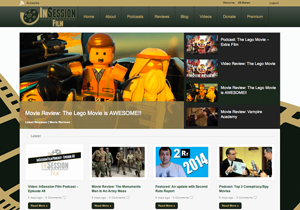 One of the biggest donations you could give us is by subscribing to our InSession Film Podcast. There are a several different ways you can subscribe to our podcasts, which include iTunes, Stitcher Radio and Soundcloud. We work hard to give you the best movie podcast you’ll listen to and want to subscribe to. We have an amazing time and engage in some of the most interesting conversations you’ll find. Every week, we review new releases, discuss Top 3 lists as well as all kinds of other movie stuff. It’s a lot of fun and we would be extremely honored and eternally grateful for a subscription to our podcast. Also, your feedback is crucial to our growth and it means a lot to us here at InSession Film. So while you’re on iTunes or Stitcher, please leave us a review! Another great way for you donate and support us is by liking us on Facebook. Facebook is a great way to help spread the word and who knows, maybe your friends will even enjoy it. We post tons of pictures and blog posts to keep you updated on all the important updates related to film and movies. From time to time, we even hold contests where you may have a chance to win free movie tickets and other great prizes. Leave us a comment, share or like anything we post. We would greatly appreciate it. Your support means everything to us. Donate by following us on Twitter. Life Facebook, we are on Twitter all the time tweeting pictures and blog posts to engage with fans and friends. A tweet to us would make our day and let us know that we are giving you exactly what you want. Your engagement with us on Facebook and Twitter is just as valuable to us than any dollar. Twitter is the best way to get information the quickest and we’re always looking to get our info and posts out there for you to read and share. It’s also just a fun way to engage in movie and film conversation. Again, thank you. While Google Plus isn’t as popular as Facebook and Twitter, there are some great communities on Google Plus that are filled with tons of movie fans. If you’re on Google Plus, join us in our communities and engage with us in some great conversation. This has been an important and fun piece for us as we look to grow, so your +1 would make us happy and very grateful. If you’re not familiar with Letterboxd, it’s basically another source for you to read and even write your own reviews. It’s another great source for you to check out and there you can read our reviews and extra thoughts besides what we give on our podcasts. Your comments and likes on Letterboxd would be awesome and, again, we’d be very thankful for your Letterboxd donation. 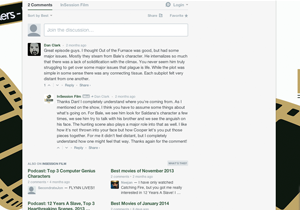 Every comment you leave on our blog posts is answered and appreciated. We hope that you enjoy our blog posts and that it interests you in some sort of way. If you agree or disagree with our thoughts or just have a though on a certain topic or news item, please leave us a comment. We’d love to know your thoughts as your feedback and interaction is gold to us. I know I’m beating a dead horse, but again, another great donation that we’d love. We built this site from the beginning with the intentionality that we’d be serving and giving you something that you like and enjoy. Whether you agree or disagree with our opinions, we’d love your feedback and for you to keep coming back and hanging out with us. We love talking about movies and film but that conversation was never intended to stay between our team here at InSession Film. We want to engage and hang out with all you guys as well. So please, be our honored guests and come visit anytime. You are always welcome here and so is all your comments and feedback. Thank you to everyone who has visited and participated in our adventure with us. Thanks again to all of our wonderful listeners and fans who visit us and support us! You are all very wonderful and appreciated way more than you’ll ever know!